Can you figure this system of justice out? The case against four men accused of plotting to bomb New York synagogues and shoot down military planes will not focus on whether they were members of a terrorist group, a federal prosecutor said yesterday. That appeared to sit well with the judge, who said she had been referring to the case privately as "the un-terrorist case." The trial is "going to be about whether these guys were going to blow something up," Assistant US Attorney David Raskin said at a pretrial hearing, and a fellow prosecutor said the government will not present any evidence of membership in terrorist groups. "It's not going to be about foreign terrorist organizations," Raskin said. Could this be Bibi's method in getting rid of Ehud Barak, following the example of Arik Sharon's exit as Minister of Defense after Sabra and Shatilla? Allowing him, as is Barak's custom, to do things so outrageously idiotic, ineffective, counter-productive and plain awful - and then to seek his resignation? Of course, we really don't know if anybody has been killed - or how. An American woman who was kidnapped, then freed, in Yemen last week recounted the experience Sunday, telling CNN she and her companion had taken adequate safety precautions and knew the risks. 9:24 AM IT - at least 6 IDF personnel injured after a weapon was stolen by a protestor who then opened fire causing IDF response. Haveil Havalim is over at Frume Sarah. With it all, seems they are all having a nice time. But a lot of columnists and reporters from the friendly pro-Israel camp are missing the point about the PLO announcing that it is boycotting products that are made in “settlements.” Zionist commentators are screaming in rage. Instead of fighting the “Palestinian” boycott of Israel, Israel should help them by making it mandatory! That was a commercial message brought to you by Steve Plaut. It was windy a few days ago. AND THE WIND CAME FROM THE SOUTHEAST. 6 S.A. Nachon St., Jerusalem. 1. Greetings by Mr. Herzl Makov, Chairman of the M. Begin Heritage Center. - the satirical website which took upon itself the goal of exposing the true face of the media in Israel. The talk will be accompanied by video clips, ample time will be allowed for Q&A from the audience. 4. Annual membership meeting of Israel's Media Watch. Feel free to interest your friends in the meeting, and RSVP us so that we can prepare accordingly. Crossovers compares Jewish anti-Zionism and Palestinian anti-Semitism from political and philosophical points of view. The authors' goal is to expose what is unique about these phenomena, and what they share, so that both ideologies and their practical impact can be better understood. The authors identify a symbiotic relationship between anti-Semitic Palestinian doctrines and those Jews who are anti-Zionists. There has been a great deal of research on these as separate phenomena, but there has thus far been no research that has noted their similarities. Palestinian anti- Semitism and Jewish anti-Zionism may stem from different sources, but they have similar consequences. Palestinian views derive from religious Islamic as well as nationalist- Arab roots, while the views of anti-Zionist Jews grew out of an ideological-Marxist-Trotskyite background. But both share a common goal: the destruction of the Jewish-Zionist nation, and a common strategy, to achieve a bi-national state as a first stage in the march to this goal. Jewish history is replete with examples of how Jews have ignored repeated threats and acts of violence against them. That characteristic of Jews reflects their Messianic belief, but it lacks a basis in history. That belief has resisted change even in the face of threats that were obvious and that have endangered Jewish lives in the past. Contemporary anti-Zionists share this optimistic outlook. Paradoxically, while the Jewish-Zionist State of Israel contends in public that another Holocaust will not happen and is patently impossible, the lesson of recent Jewish history is that a Holocaust can happen again. This work is unrelenting in its criticisms and tough minded in its assessments of the future. It merits careful, serious reading. Although I have known Michael Oren for years and admire his intellect and academic achievements, I have made it clear that his politics are a bit problematic. He is not pro-Yesha in the basic sense. I have commented on his ambassadorial appointment to Washington right from the outset (here and also here, for example) and found it not the smartest Netanyahu move. ...Netanyahu must not become Obama’s spokesman. As part of his unsuccessful bid to convince Obama to change his policies towards Israel, Netanyahu and his advisers have gone on record praising Obama for his support for Israel. These statements have stymied attempts by Israel’s US supporters to pressure Obama to change those policies. The Israeli official who has been most outspoken in his praise for Obama and his denial that Obama’s policies are hostile towards Israel has been Ambassador Michael Oren. Oren has repeatedly praised Obama for his supposedly firm support for Israel and commitment to Israel’s security ­ most recently in an appearance on Fox News on Wednesday. Moreover, according to eyewitness reports, in a recent closed-door meeting with American Jews, Oren criticized the Republican Party for attacking Obama for his animosity towards Israel. As usual with the right-wing nationalist camp, either they make very few appointments (a la Begin) or they make the wrong one (a la Netanyahu). We can't afford errors of judgment. If Caroline has zeroed in on this, maybe someone in Bibi's bureau will begin to realize their mistakes. I have criticized Oren a number of times. I criticized his outreach to J Street and I think I criticized his appointment. I have also criticized Bibi a number of times. Since the creation of Israel in 1948, Palestinians have mainly used the Israeli shekel for commerce. Now they're quietly considering reissuing the defunct Palestine pound, an example of which is displayed in a museum-like Lucite case outside Wazir's office, alongside coins from the time of Alexander the Great. A) "since...1948...Pals. have mainly used the Israeli shekel"
1. Since 1948, the Arabs within Israel's borders are Israelis. 2. Mainly? You mean in Jordan, Lebanon and other states the Arabs-who-refer-to-themselves-as-Palestinians live use the shekel too? 3. Up until 1980, all Israelis, Jews, Muslims, Christians, Druse and tourists actually used the Lira. Between 1980-1985, there was the "Old Sheqel" and since then, the "New Israel Sheqel (NIS)". B) "the defunct Palestine pound...displayed in a museum-like Lucite case...alongside coins from the time of Alexander the Great." 1. Since you might think that the sheqel is somehow new, please be advised that the Israel sheqel coin was used by the United Monarchy of Israel (that existed in the Land of Israel from c. 1020 BC to c. 930 BC, though there are differences of opinion as to exact dates) and the Kingdom of Israel (that existed roughly from the 930s BCE until about the 720s BCE), as well as during the Great Revolt (66–70 CE). 3. There were no Arabs in this country at the time of Alexander the Great. In 1834, a Royal Decree promulgating a Parliamentary Bill was issued providing for the issuing of an Egyptian currency based on a bimetallic base. The Egyptian pound was introduced, replacing the Egyptian piastre as the chief unit of currency...At the outbreak of World War I, the Egyptian pound was pegged to the British pound sterling at EGP 0.975 per GBP 1.00. Between 1834 and 1836, para...and piastre...and 1 pound coins were introduced...In 1885, a new coinage was introduced consisting of bronze...millieme...In 1924, bronze replaced cupro-nickel in the 1 millieme coin and the holes were removed from the other cupro-nickel coins. In 1938, bronze 5 and 10 millieme coins were introduced, followed in 1944 by silver, hexagonal 2 piastre coins. But, we should recall, "Palestine" then meant the Jewish National Home. To conclude: they are pounding us silly. It’s been hundreds of years since any lions lived in Israel, but a few months ago a new lion’s den opened in the region. Hagov (The Lion’s Den) is a sports bar in downtown Jerusalem, and its goal is to serve an entire cross-section of the city. Luckily, with the ability to show eight different sporting events simultaneously, Hagov is able to cater to all of the types in the capital (those who don’t like sports don’t actually have to watch). And when I say cater, I include the food sense of the word. The bar is fully stocked with all types of alcohol, as would be expected, including five different beers on tap. But in addition to the booze, Hagov has an enticing menu that combines bar staples like Buffalo wings and burgers with options like carpaccio and salad. While chatting with one of the owners, he mentioned that the Hagov team had put special effort into the menu. I’d heard from acquaintances that the kitchen got off to a rocky start, but judging by what I sampled on two separate visits, that culinary effort paid off. The bar is long and somewhat narrow, like many of the older buildings in Jerusalem. There are seating areas at individual tables, along the bar, and out back where there is a massive screen. The wait staff is bilingual, which emphasizes the Anglo-friendliness of Hagov. The background music is also all in English, and the English menu is actually intelligible. From that menu, my dining partner and I ordered beers on draft: 400 ml. Carlsbergs and Tuborgs (NIS 22 each). I also put the whiskey sour (NIS 32) to the test, and I’d give it a B. To go with the drinks, we tried the Buffalo wings (NIS 43 for 24 pieces). They come in three levels of spicy, and we opted for the middle one. I found the beer very useful in dousing the flames on my tongue – that’s not a veiled complaint. Still, my dining partner added Tabasco to his. The wings were crisp on the outside and the flavor unlike most Israeli wing options. On a subsequent visit, I also sampled (with the help of a friend) the 250 gr. burger (NIS 50), the roast beef platter (NIS 59) and the onion rings (NIS 27 or free with burger). All were presented simply but not haphazardly. The burger tasted like it was actually made of meat, not just some vague ground-up relative of a cow. The bun was toasted and thus more likely to crumble, which made it a bit difficult for it to hold the burger. I wasn’t sure what to expect of a roast beef platter at a bar – or anywhere, for that matter. It turned out to be a plate with thinly sliced meat and tomato salad, and a second plate with sliced bread and two spreads (sun-dried tomato and tehina). The meat was pink inside and reminded me of the steak my mother used to make, back in the day. Again, that’s not a complaint. I couldn’t quite figure out what the tasteless yellowish sauce on the platter was, though, so I skipped it. And really, since when can you go wrong with onion rings? The Lion’s Den version is a homemade deal with tempura-battered slices of onion, and they’re good and greasy. Generally, Hagov is a fun place. The food is tasty, the music is entertaining, and there’s always a game to watch. Wisely, there are hooks under the bar on which to hang a purse, so women know that it’s not a men-only type sports bar. But remember: A sports bar can get rowdy when a critical match is on. With the World Cup fast approaching and the multitude of nationalities in Jerusalem, things in the Lion’s Den just might get wild. 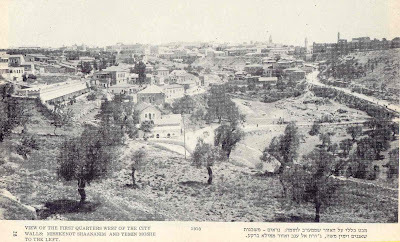 Hagov, Rehov Yoel Moshe Salomon 5, Jerusalem. 052-870-9993. Open Sunday-Thursday, 7 p.m. to the last customer, and Saturday night after Shabbat. Kosher. 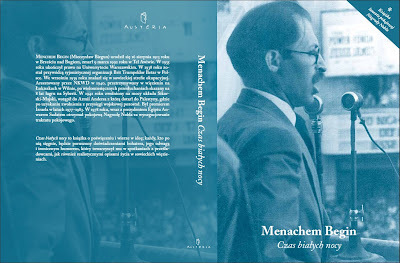 Menachem Begin's classic prisoner diary, "White Nights", has just been published in a Polish language translation. The Begin Center was a major facilatator in this project. 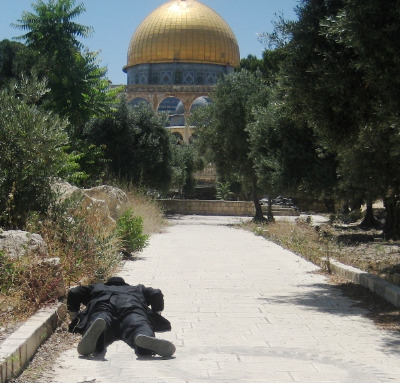 Two clips of a two-day hike from Shiloh to Jerusalem May 11-12, 2010. It's in Hebrew but you can enjoy the views and the action - and the music. And, if you recall an earlier post of mine on Pals. walking, Raja, eat your heart out. No, not one of those Jewish civilian residency locations I term communities. ...Other Jewish lawmakers openly support pressuring Netanyahu, and take a stance that diverges from the Israeli government's approach to key issues. One of them is Sen. Dianne Feinstein, D-CA, who is circulating a letter [Peace Now has the text] supporting the proximity talks around the Senate this week, obtained by The Cable. The letter, addressed to Secretary of State Hillary Clinton, hasn't been sent and is still open for signatures. But a couple of its lines are already raising eyebrows in Senate offices on both sides of the aisle. "We strongly believe that a permanent peace agreement ... can only be achieved with the United States bringing the parties together and driving them to a settlement," the letter states (emphasis added). Later on, it argues, "[The obstacles are many. ]...While the Israeli Government has announced a moratorium on settlement activity, for too long the expansion of settlements in the West Bank and East Jerusalem undermined confidence." Well, I have little confidence in Feinstein's thinking. Since we've had the moratorium on, has that helped the Pals. engage in peace? Why did they delay so many months? Why have they begun a boycott? Are they truly intending to achieve peace? EDWARD DE BONO, the guru of creative thinking, has been called in by the Foreign Office to help sort out the Arab-Israeli conflict. Ever willing to help, he has conjured up a solution straight from a jar - Marmite. ...The logic, briefly, is this. A lack of zinc makes men irritable and belligerent. You get zinc in yeast, which is fine for your average lover of Mother's Pride. But in the Middle East, the bread is unleavened. Ergo, the great man says, Marmite is the answer to easing the way to peace. Dr de Bono gave two lectures to the Foreign Office...Speaking afterwards, Dr de Bono said that the classic approach to problem- solving was to identify the problem and then try to remove it. In world affairs, however, many of the problems were not eradicable. Diplomacy meant working round them. "That's the kind of thinking I try to encourage," he said. "The Haitians are rather like the Palestinians. They are only poor in their own back yard and they deserve a better deal and a chance to build a better future for their children and I think we can give it to them." The students applauded. But, being serious, while Barry is not wrong, I would suggest that there is more wrongheadedness in Clinton's words. What does he mean by "their own backyard"? They are poor because they have been kept and allowed themselves to be be kept in refugee locations (there really are no 'camps' but urban sprawl spaces). But not all are poor and in fact, the economic situation in the Palestinian Authority territories is improving - all due to the relative calm. The more terror, the less money. Shouldn't the Arabs be smart enough to figure that out? Or, as Barry rightly emphasizes, it is a conscious decision on the part of Arabs who consider themselves "Palestinians" do relegate all other aspects of life to their struggle to deny the Jews their own national identity and rights. "A non-zero sum game is when both parties can win....If you want it to change, you have to find a way for everyone to win." And that is: the Pals. 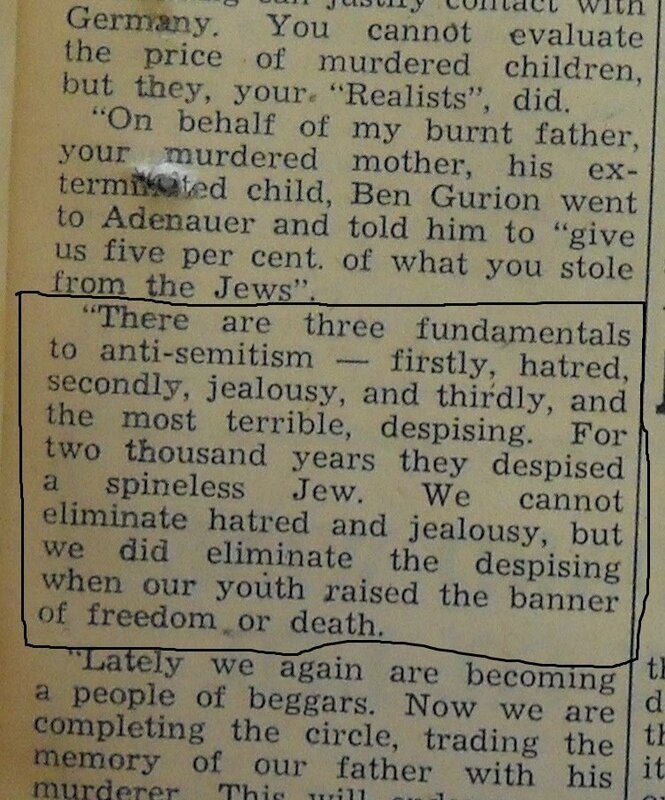 purposefully (after all, this has been going on at least since the 1920 riots the Arabs initiated to overthrow the policy based on the Balfour Declaration and the San Remo Conference decision to reconstitute the Jewish national home) have subjugated their existence to the goal of promoting a non-existence of the Jews as a people in their land. Theirs is one big minus. 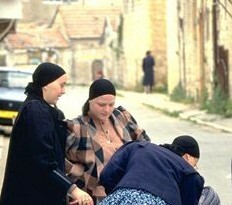 A do rag is also reminiscent of a 'mitpachat': an Israeli style of head covering worn by Orthodox Jewish women. It can be a variety of colours and fabrics, but often it is longer than the average do-rag and tails down the back of the neck. Women who wear the do-rag style mitpachot often cut their hair short in accordance with Jewish law that stipulates that a woman's hair must be covered once married. Hello Friends, Thank you for all the support...I'm only able to report on a very small part of a very large operation. As far as me, I've been busy getting training in how to defend our ship from Israeli pirates. We have to do this in a nonviolent restrained manner, so it's going to be a bit of a challenge but we can't give them any excuse to be violent with us, regardless of their actions. And now we are told that Israeli settlers are going to form a flotilla to attack us as well. It's going to be interesting.In a past email I wrote that the Israeli's were setting up a detention camp for us in Ashkalon but I should have wrote Ashdod. It better be a big camp as there are well over 700 Turkish peace activists on their three ships let alone all the folks from 49 other nations on the other 6 ships. There will be a film crew from the Australian national TV channel and at least two other professional film makers that I know of and various print and radio media. We have also been getting training in our response to being detained and jailed in Israel and the expected deportations. We are all not going to cooperate with our illegal arrest and deportation so again it's going to be "interesting" how the Israeli's deal with us all. At this late date I think it's fairly safe to let you know I've been tasked with defending a crew of journalists on the top deck of our cruiser. Since the Israeli military always trys [sic] to seize the media first to destroy evidence, my job is to non violently get in the way of the Israeli commandos in a narrow passageway for about 30 seconds so the journalists can up load their reports. It should be interesting to say the least. I guess all my young years spent playing rugby and football are going to come in handy, IE: being able take a hard hit and keep standing and not lose my temper, but this time there's no referees. I don't think the Israeli's are going to attack us as the bad press coming from this would be enormous, but everyone is ready for them. Retired US Army Col. Ann Wright is on our ship, so I can't imagine what the Israelis are going to do with her. There are also retired US ambassadors and European government officials and various VIPs on all the boats. Well as usual I need my beauty sleep so goodnight for now. If the camera is on me I'll try to wave. Feel free to pass this around to any friends I might have missed on my "Gaza friends" email list.Kevin If on earth there breathes a slave, are ye truely free and brave? SNELLVILLE — Shiloh High School’s Teacher of the Year resigned last month after she admitted she had been involved in a sexual relationship with a student, Gwinnett County Public Schools officials said Thursday. Language arts teacher Keenon Aampay Hall, who began working at Shiloh in 2005, submitted her resignation letter April 20, a day after Gwinnett County Public Schools launched an internal investigation into a student’s claim that Hall lowered his grade after he refused to impregnate her, according to documents provided Thursday to the Post. Hall’s letter said she resigned for medical reasons, school district spokesman Jorge Quintana said. The 18-year-old student said the relationship began in October, when he was 17, and lasted until the day before spring break...The evidence gathered during the school system’s investigation would have supported a recommendation for termination, Quintana said. ...Quintana said school police are also investigating the situation, and conversations are taking place with the District Attorney’s Office regarding possible charges. At this time, however, no criminal charges have been filed. Snellville's city slogan is: 'Everybody's Somebody In Snellville'. What could have been - and what may yet be. As a follow-up to my blog post, can you imagine the headlines? After the most recent ridiculous claim concerning the Sultan's Pool excavation, the digging at the Mughrabi Gate, the Hasmonean Tunnel incident and going back to the 1929 incitement by the Mufti and many more flareups during various periods before the state was founded as well as after, an central element of local Arab fomenting anti-Jewish violence has been the assertion that Jews are seeking to replace the Haram A-Sharif compound with the rebuilt Third Temple. 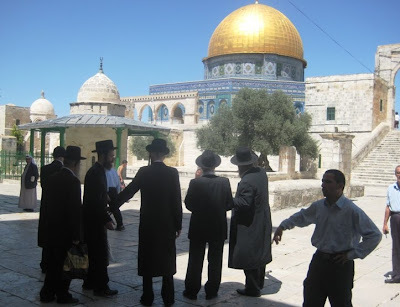 But the reality is that Jews cannot pray therein, nor read psalms or act in an overt identifiablly Jewish manner but rather as nondescript tourists. But rumours of sinister plots abound. Will The Onion take this up? A senior United Nations official is expected to call on the United States next week to stop Central Intelligence Agency drone strikes against people suspected of belonging to Al Qaeda...Philip Alston, the United Nations special rapporteur on extrajudicial, summary or arbitrary executions, said Thursday that he would deliver a report on June 3 to the United Nations Human Rights Council in Geneva declaring that the “life and death power” of drones should be entrusted to regular armed forces, not intelligence agencies. He contrasted how the military and the C.I.A. responded to allegations that strikes had killed civilians by mistake. In recent months, top lawyers for the State Department and the Defense Department have tried to square the idea that the C.I.A.’s drone program is lawful...Under the laws of war, soldiers in traditional armies cannot be prosecuted and punished for killing enemy forces in battle. The United States has argued that because Qaeda fighters do not obey the requirements laid out in the Geneva Conventions — like wearing uniforms — they are not “privileged combatants” entitled to such battlefield immunity. But C.I.A. drone operators also wear no uniforms. Paula Weiss, a C.I.A. spokeswoman, called into question the notion that the agency lacked accountability, noting that it was overseen by the White House and Congress...The Pentagon delayed issuing a 281-page manual laying out commission rules until the eve of the hearing. The reason, officials say, is that government lawyers had been scrambling to rewrite a section about murder because it has implications for the C.I.A. drone program. ...C.I.A. drone operators — who reportedly fly the aircraft from agency headquarters in Langley, Va. — might theoretically be subject to prosecution in a Pakistani courtroom. But regardless, the United States can argue to allies that it is not violating the laws of war. Mary Ellen O’Connell, a Notre Dame University law professor who has criticized the use of drones away from combat zones, also agreed with the Obama administration’s legal theory in this case. She said it could provide a “small modicum” of protection for C.I.A. operatives, noting that Germany had a statute allowing it to prosecute violations of the Geneva Conventions, but it does not enforce domestic Pakistani laws against murder. We need to treat Gaza as an enemy state. We shall guard our own borders and lock up the crossing points between us. They can go to Egypt and bring in aid from Greece or Ireland. Gaza is none of our business. We should also end the good life of UN officials. They live in Jerusalem while traveling to Gaza to deliver harsh anti-Israel speeches. We should close off the Erez Crossing and send UN officials to handle Gaza while living in the African El-Arish. At that point, Gaza may receive similar attention to that drawn by Congo and Sudan. ...I gave a speech to AIPAC about why the two-state solution is in Israel’s interest. Forget the Palestinians and the Arabs; why is it in Israel’s interest? And just very briefly, there are three big reasons: demography, ideology, and technology. If Israel is to remain a democratic Jewish state, then they have to come to grips with their own Arab citizens as well. And if they’re going to remain a secure, democratic Jewish state, they’ve got to come to grips with the technology that is advancing as we speak that will make every part of Israel less secure unless they have some kind of resolution. And if they have any long-term view about how to live with their neighbors, then they’ve got to deal with the ideology that is rejectionist, that is bred and exacerbated by the failure to come to grips with the two-state solution. So that may not be the way Israeli Government sees it. But it’s only through those kinds of in-depth conversations, really centered around core issues like responsibility, that can be tied into a nation’s self-interest that you can actually make any progress. Well, Madame Secretary, the real core issue is the Arab recognition, acceptance and willingness to coexist with a Jewish national polity, to give it geographical space to view that reality as non-threatening. I think that if Israel follows your thinking, while the tensions rise in relation to short-term difficulties, Israel can better deal with the long-term problems. In the pre-1967 era, Israel was no "occupier" nor were there any "settlements" but today, those are the main issues. But is the communities are dismantled and Israel is forced to withdraw from areas it knows belongs to the Jewish national home and moreover are essential for its security, what problems is solved that brought about the 1967 war? All attention is on the "Flotilla" that set off from Turkey to break the "siege" of Gaza and relieve a (non-existent) "humanitarian" problem. Did you know that once upon a time, other Arabs sought to sneak into the area, when there was a British Mandate of Palestine. But they had a different goal: sabotage. And they were advancing Nazi interests. ...a German wartime plan for subversion in Palestine, when the territory was administered by Britain....involved parachute landings, thousands of gold coins and the Arab Muslim leader, Mohammed Amin el-Hussaini, the Grand Mufti of Jerusalem, who was then living in exile in Berlin. It also had the approval of Hitler's security chief, Heinrich Himmler. But the project ended in fiasco. ...The Germans, on the other hand, wanted to make things a great deal worse and planned - with the support of the Grand Mufti - to arm Palestinian villagers and incite them to rise up against the Jews. A small commando team of two German officers and three Arabs was formed in Berlin in early 1944. ...when they were on their way, in October 1944, the pilot lost his way and flew too high when they began their jump. They had planned a landing north of Jericho but instead landed south, lost their radio equipment and became separated. Colonel Wieland and his two companions hid in an Arab village, in a cave and a ruined monastery. They found no support for any Arab uprising and were captured a week later. The other two men were never found. Hassan Salameh’s hatred of the Jews, and of the British, led him to join his patron, Haj Amin al-Husseini, the mufti of Jerusalem, in Germany during World War 11. When towards the close of the war the mufti proposed a plan he hoped would wipe out a large part of the Jewish community in Palestine, Salameh was chosen to carry it out. Early on the morning of November 5, 1944, the Luftwaffe parachuted Salameh, another Palestinian, three German officers, and several large creates into the rocky, cave-pocked wastes of the Jordan Valley not far from Jericho. The crates held bags of poison intended for Tel Aviv’s water supply. The team’s mission was to kill the population of Tel Aviv. I wonder what these "activists" are planning. 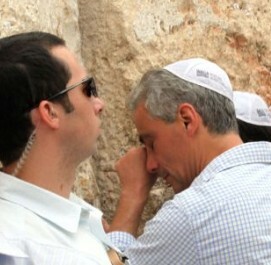 Yes, Rahm Emanuel did shed a tear at the Kotel. The second part of the first section of the Eurovision contest is on as I type. Each song is introduced by the nation's flag, a scene of the country's citizens cheering on their singer and by a digital configuration of the country's borders. Israel's entry was just up. Just a yellow sparkly blob. No one will forget the introduction of Eva Rivas, though. On the map below, you can see, on the far right, the area of the Temple Mount. It's marked Mount Moriah/Dome of the Rock. To the left, and slightly lower, you'll spot the Jaffa Gate. Got it? Go down a little lower and you'll see Yemin Moshe. Okay? Now, just one more geographical location - the green shaded area to the right of Yemin Moshe. That's where the Sultan's Pool is. Israeli occupation authorities began excavation works near Al-Aqsa Mosque on Tuesday, according to Al-Aqsa Foundation for Endowment and Heritage. The foundation said in a press statement that the "new excavations are concentrated in the site of Birkat Al-Sultan (Al-Sultan's Pool,” adjacent to the western wall of the Jerusalem's Old City). The pool was a source of water supply to Al-Aqsa Mosque and the Old City, the foundation said. But the pool nowadays is dry. Israel's apartheid wall stood like a knife cutting through the beautiful landscape and up towards the sky. It seemed so out of place, this ugly, alien gray wall. Right next to, and protected by it, were the countless settlements -- equally alien and out of place, like an array of red Lego pieces -- they fit nowhere but in their original box. Abu Fathi walked me through the Marawani tunnel under the mosque, and showed me exactly where the threat is located. In 1996, the Israeli authorities began digging an "archaeological tunnel" under the Haram al-Sharif compound for tourists in conjunction with Jewish extremists who seek to recunstruct a "Third Temple" in the place of the mosques. It was chilling to see the vivid cracks in the columns holding up the foundations of the mosque. 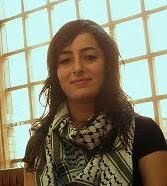 a 20-year-old Arab, born and raised in Gaza City who graduated from the American International School (AISG) with a major in Political Science and now is a recent graduate of the American University in Cairo. A rather unfortunate selection of design? However, this morning I was informed by the driver of the tremp I was in that his niece had just given birth to her 8th child. She has two sets of male twins and four others, 1 boy and three girls. But wait, the oldest is in 2nd grade. Maybe the lady above knows why she's wearing that teichel. ...May 13 speech by Amir Abdel Malik Ali...delivered as part of “Israel Apartheid Week,” [at UC-Irvine] Ali compared Jews to Nazis and said Muslim students should not engage in dialogue with them. And finally, an invitation to the White House. I hope the politics there will be kosher. For Rabbi Efrem Goldberg of Boca Raton Synagogue, a Modern Orthodox congregation, insight into American foreign policy was wholly separate from discovering the administration's feeling about Israel. "There's an acknowledgment that what they conceive as their commitment to Israel is not being filtered down to the regular pro-Israel community," he tells Golub. "I went in with anxieties and with concerns and I left with anxieties and concerns, but I gained a tremendous respect for the administration's genuine commitment to Israel, and left with a commitment to continue to debate the policies and the issues, but not to challenge the authenticity of their commitment to Israel and its security." Rabbi Efrem Goldberg of the Orthodox Boca Raton Synagogue in Florida said he left the meeting still wondering if the administration is on the right track, but still "cautiously optimistic" because of the depth of commitment to Israel he heard. "I left with a clear impression that these individuals have a real passion about Israel," even if he did not agree with them on tactics, Goldberg said. Their interlocutors at the two meetings were high level: Dennis Ross, who runs Obama's Iran policy; Dan Shapiro, the deputy national security adviser who supervises policy for Israel and its neighbors; Susan Sher, the chief White House liaison to the Jewish community; and Emanuel. "Among the rabbis there was a diversity of those who support the administration policies and feel the message hasn't trickled down, and those who have problems with some of the policies," Goldberg said. "But the universal message was you need to show more love, this is not how you treat family." I spotted a woman on a bus as I left work to head for the shuq. She was reading Rebbe Nachman's Tikkun Klali. She even got off at my stop. Lo and behold, she even started walking in the direction I was walking to as I was cutting through behind the HaMashbir store towards the shuq. Yes, that's a semi-burqha outfit. Her face was uncovered, but that was it. Her outer clothes were bulky, in layers, many layers, with a shoulder cape and a shawl covering that. Her skirt was ankle-length. Besides that fashion statement, I am always amazed that Rebbe Nachman's Tikkun was primarily intended for the matter of nocturnal seminal emission. That's a man's problem. President Obama will deploy 1,200 National Guard troops and request an extra $500 million to secure the Mexican border, his administration said Tuesday, a move dismissed by Republicans as insufficient to win their cooperation on an overhaul of the nation's immigration system. By reinforcing the 340 Guard members already monitoring border crossings and analyzing intelligence, the initiative echoes 2006's Operation Jump Start, in which President George W. Bush devoted 6,000 guardsmen to a two-year commitment in support of the Border Patrol. Then, as now, the troop deployment was fueled by heightened concerns about lawlessness -- then it was illegal immigration, now it is drug traffickers -- as well as political maneuvering in Washington to lay the groundwork for an effort to change immigration policy. But the issue remains bitterly contentious, with increasing pressure on Obama and lawmakers from both Latino supporters and conservative activists. The March 27 killing of Robert Krentz, a prominent Arizona rancher who had reported drug-smuggling activity on his land, has galvanized political anger toward illegal immigration in that state, although the identity of Krentz's assailant remains under investigation. I did it the last time the Pals. used an animal for their terror. Right-wing activist Neria Ofen was expelled on Tuesday from the Jerusalem neighborhoods of Pisgat Ze'ev and Neve Ya'akov for the next three months. The expulsion order was signed by Major-General Yair Golan, head of the Home Front Command, under the powers of a seldom-used British Mandate emergency defense ordinance from 1945...The use of this Mandate era ordinance to expel people from specific areas is extremely rare. Or simply misrepresented the same, which means he falsified evidence on Israel-So. Africa and possible nuclear weapons? And a video clip, in Hebrew. A Silver Spring man who worked as a linguist for the FBI was sentenced Monday to 20 months in prison for leaking secret documents to a blogger...Shamai K. Leibowitz, 39, gave the unnamed blogger in April 2009, while he worked on contract for the FBI. According to court records, the documents concerned "communication intelligence activities." Actually, quite a stupid person. Here is an excerpt from an interview with Sasha Polakow-Suransky. He authored ‘The Unspoken Alliance: Israel's Secret Relationship with Apartheid South Africa’, a newly published book and is a senior editor at the New York-based Foreign Affairs magazine. ...Finally, there’s a third group. These are the Israelis who came up in the Revisionist Zionist tradition, high level security types that included Ariel Sharon, Raful Eitan, Eliayahu Lenkin.. All of them made pretty blunt statements of support for South Africa on anti-Communist grounds, on the grounds that ‘one man, one vote’ would be the end of the white South Africans. They didn't have many reservations expressing support on those grounds. 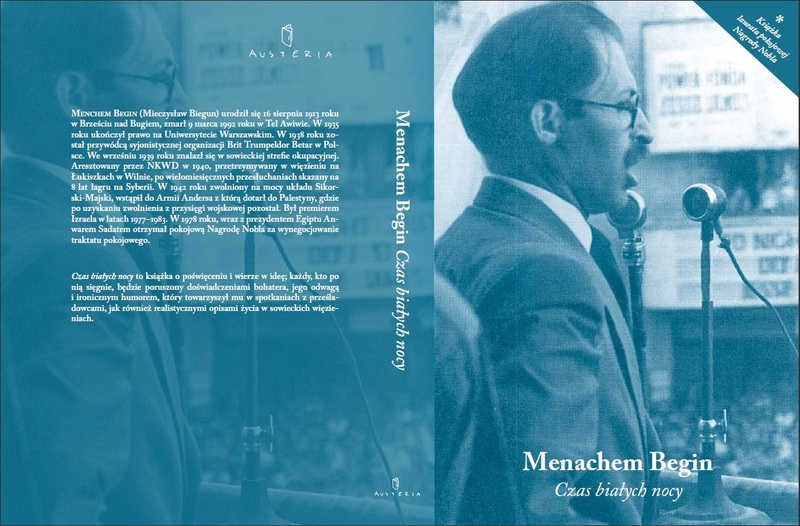 ...What I do in the book is to try and trace the element on the Israeli right and the military establishment -- strains of the Revisionist movement and people who went beyond Vladimir Jabotinsky -- that has a lot in common with the basic tenets of Afrikaner nationalist thought. a. Sharon and Eitan were not Revisionist Zionists. Sharon was in the Hagana and Eitan in the Palmah. True, Sharon joined with the Likud and Eitan with Tehiya but these political frameworks were not the framing basics. They did not "come up" in Revisionism. Lankin did but was Israel Ambassador to South Africa 1981-1985 and was Herut MK only in the first Knesset and so really had nothing to do with the main time period of the book. b. If there were people who went beyond Jabotinsky, are they Revisionists? c. No one in Israel has anything in common with the basic tenets of Afrikaaner nationalist thought. d. Anti-communism as grounds for support? Weird. Israel until the early 1980s was basically a socialist society. I'll have to search out the book. 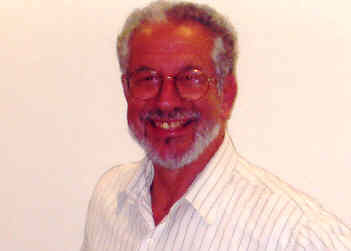 I received a copy of an essay, "The Future and The Spirit of Halacha" on the subject of Unconventional thoughts in relation to Autonomous Religiosity, composed by Rabbi Dr. Marc D. Angel, Nathan Lopes Cardozo and published in Rabbi Marc Angel's Modern Orthodox Journal, “Conversations”, Issue 7, May 2010. It should appear here soon - I can't find a site with it yet. I am confronted daily with countless young Jews who search for an authentic Jewish religious way of life, but are unable to find spiritual satisfaction in the prevalent halakhic system as practiced today in most Ultra or Modern-Orthodox communities. 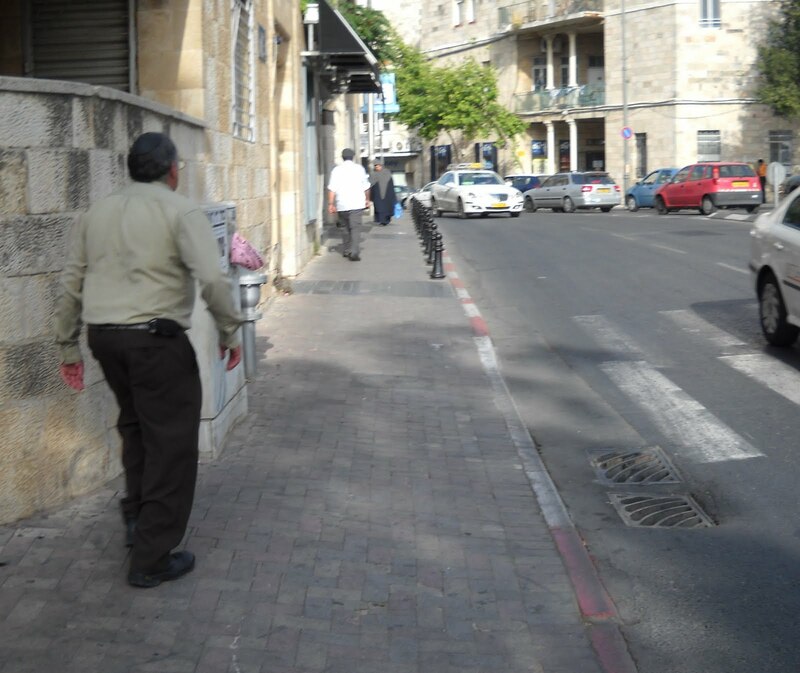 For many of them, typical halakhic life is not synonymous with genuine religiosity. They feel that halakha has become too monotonous, too standardized and too external for them to experience the presence of God on a day-to-day basis. Beyond “observance”, they look for holiness and meaning. Many of them feel there is too much formalism in the halakhic system, and not enough internal meaning; too much obedience and not enough room for the individualistic soul, or for religious spontaneity. More and more sincere young people express these concerns, and many of them are deeply affected by their inability to live a conventional halakhic life. Since they sincerely long for the opportunity to experience halakha, I struggle to find a response to this acute growing predicament. The solution must simultaneously acknowledge that a genuine Jewish religious life cannot exist without being committed to the world of halakha. This existential tension greatly influenced the content of this paper. The following observations are therefore not written from the perspective of a halakhist, but from the perspective of a deeply concerned Jewish thinker, who wants young people to be authentically religious while living a halakhic life which is meaningful to them. The following suggests a new insight into the world of halakha and its practical application. I would like to address one aspect of Rabbi Marc Angel Nathan Lopes Cardozo's recent essay, "The Future and the Spirit of Halacha", published in Conversations, Issue 7, May 2010 which is subtitled "Unconventional thoughts in relations to Autonomous Religiosity. Although he does headline some of the crucial issues that motivated his writing on the subject that many share within the Orthodox camp, such as over-codification which embalms Jewish practice leaving little room for flexibility, the danger to the concept of "the quest for God must remain open-ended to enable the human spirit to find its way through trial and discovery" with no catechisms and that despite the need for conformity within the community, Judaism is an autonomous way of life and it is ultimately man is expected to respond as an individual to the Torah's demands, I do think he could have been much more specific is suggesting examples that could have been debated. Just this morning, in discussing Rabbinic attitudes, a friend and I noted that in Europe of 150 years ago and more, the Rav was much more an authority to himself and therefore, felt little collegial pressure. Sure there were Responsa and consultations, but within his district, the local Rav was basically supreme. And because of that, he was much more lenient than the Rabbonim of today who seem to be looking over their shoulders which results in the multiplication of incidents of chumrot. As R. Nathan Lopes Cardozo writes, "codices lead to intellectual laziness". But this laziness endangers the true public square of the living Judaism. And while there is full sympathy for this introspection, the article could better have served its purpose with additional specifics situations and problems and their resolution. I didn't know 6000 female Pals. are employed in the economy of the yishuvim here in Yesha. The Palestinian Authority's boycott of Israeli settlements enters a new phase as Palestinian women working in settlements are urged to seek alternative employment. The PA's Ministry of Social Affairs is calling on all Palestinian women currently working in Israeli settlements to apply for alternative jobs at Palestinian institutions, Ma'an news agency reported on Sunday. The ministry said it had designed and distributed application forms to all its branches across the West Bank, adding that female workers could commence the process of finding new jobs on Sunday. "Boycotting Israeli settlements including work and products … is very crucial at this stage of the Palestinian-Israeli conflict to counter Israeli plans to judaize al-Quds (Jerusalem), expand settlements and enforce the separation wall as political border," Minister of Social Affairs Majida al-Masri stressed. ...Approximately 6,000 Palestinian women work in Israeli settlements compared to an estimated 25,000 men, Masri said, stressing that "this phenomenon must come to an end as soon as possible." Or is that mainly cleeaning ladies in Jerusalem's post-1967 neighborhods? Many years ago, when we were all young, I seem to recall a friend who put on tefillin for a while. ...According to a release from the Israel Religious Action Center, Noa Raz was accosted last week by the man in Beersheba’s bus station while waiting to board a bus that she takes to her job in Tel Aviv. 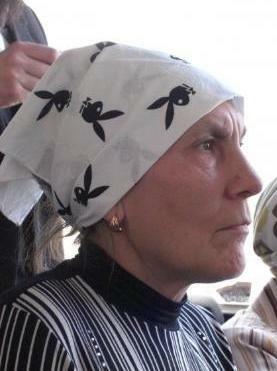 Raz was asked by the man two times if the imprints (*) that he noticed on her arms were from tefillin. When she answered that they were, he attacked her, kicking and strangling her. He also screamed “women are an abomination.” It is being reported that she was able to free herself from the attacker and managed to board her bus. 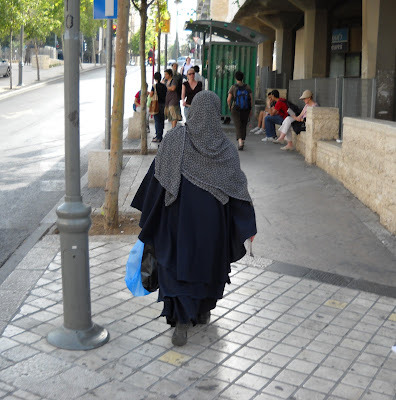 Raz, a Conservative Jew, is a member of Women of the Wall...The Israeli Religious Action Center has asked the Beersheba police to label the attack as a hate crime, after Raz filed a report with authorities on Wednesday. Up until here, I was all wrapped up in her story with full sympathy. The executive director of Women of the Wall, Anat Hoffman, characterized the assault as not being isolated but instead part of a growing trend towards creating a threatening environment for women who want to pray openly. The incident “should not be seen as an isolated incident but as taking place within an atmosphere of growing violence toward and intimidation of women who seek to pray freely and equally," Hoffman told JTA. Dear Anat (a good acquaintance of mine in real life), if we treated all "isolated incidents" as a product of an "escalation of a growing atmosphere of violence" that is "tolerated", what are we to do about left-wing acts against chareidim, Yesha residents, etc. that we thought were simply aberrations of individuals rather than a result of an ideological onslaught against political opponents? And as a postscript, a tefillin imprint is so much better than a tattoo. Of all the filmmakers whose work is in the 63rd Cannes Film Festival...none have had the impact of the man who could not attend. Jafar Panahi is an Iranian director who was asked to join the competition jury, but is currently in a jail in his country for his political views. On Tuesday, a message from him in which he asked to contact his family and speak with a lawyer, was posted on the Web site of the French journal La Règle du Jeu (laregledujeu.org). The gravity of Mr. Panahi’s statement only underscored the real and often calamitous world events that have informed a number of the films here, with selections touching on the American war in Iraq, the global financial crisis, religious fundamentalism, armed revolutionary struggles and the usual man’s inhumanity against man, women and children. At a Thursday afternoon press conference, an Iranian journalist asked the director Doug Liman — who’s here with “Fair Game,” about the former C.I.A. operative Valerie Plame and her husband, Joe Wilson — what he thought about the belief that the United States might soon lead an attack on Iran. The slightly surprised-looking Mr. Liman [his father, Arthur L. Liman, served as the chief counsel to the Senate committee that investigated the Iran-Contra affair, the arms-for-hostages scandal that blew up in the Reagan years] paused and then answered that, in contrast to the real Ms. Plame, he is not “a nuclear proliferation expert.” Next question. In a newly released video, Anwar al-Awlaki, the Muslim cleric believed to be an inspiration for a series of recent terrorism plots, justifies the mass killing of American civilians and taunts the authorities to come find him in Yemen. ...Al-Awlaki's father, Nasser al-Aulaqi, earned a master's degree in agricultural economics at New Mexico State University in 1971, received a doctorate at the University of Nebraska, and worked at the University of Minnesota from 1975 to 1977. The family returned to Yemen in 1978, where al-Awlaki lived for 11 years and studied at Azal Modern School. His father served as Agriculture Minister and as president of Sanaa University. Yemen's Prime Minister since March 2007, Ali Mohammed Mujur, is a relative of al-Awlaki. Al-Awlaki returned to Colorado in 1991 to attend college. He holds a B.S. in Civil Engineering from Colorado State University (1994), which he attended on a foreign student visa and a government scholarship from Yemen, reportedly by claiming to be born in that country, where he was President of the Muslim Student Association. He also earned an M.A. in Education Leadership from San Diego State University. He worked on a Doctorate degree in Human Resource Development at George Washington University Graduate School of Education & Human Development from January to December 2001. Will the Obama school pupils grow up better? Who burnt down a good part of a summer camp for Arabs children in Gaza? Israeli troops? Other armed men? Who were they? What was their identification? Dozens of armed men have attacked a United Nations summer camp being set up for children in the Gaza Strip, setting tents on fire and vandalising bathrooms. The UN agency for Palestinian refugees, which provides activities for around 250,000 young people in Gaza, said the attackers also assaulted a guard and tied him up. It said the men also left a letter with four bullets, threatening the agency's Gaza director and sending a chilling message to the camp's organisers. Masked gunmen have attacked a UN summer camp being set up for children in the Gaza Strip, UN officials say. The attackers burned tents and destroyed other equipment after tying up a guard. They also left a letter threatening the head of the UN Relief and Works Agency (Unrwa), John Ging. No group has claimed the overnight raid, but observers suspect it is the work of Islamic extremists opposed to such camps for boys and girls. "The armed men torched the camp, which contained recreational equipment and (plastic) swimming pools, and completely destroyed it," Unrwa spokesman Abu Hasna told journalists. A U.N.-sponsored summer camp in Gaza was burned Sunday hours before it was due to open, witnesses said, blaming Muslim extremists who apparently object to boys and girls going to camp together. The United Nations Relief and Works Agency had planned to open summer camps for children across Gaza this week, after the school year ended. Two days earlier, a previously unknown militant group, "The Free of the Homeland," issued a statement criticizing the camp's organizer, the United Nations Relief and Works Agency (UNRWA), for, "teaching schoolgirls fitness, dancing and immorality." Fundamentalist Muslims, or Salafis, whose agenda of global or holy war against the West is against Hamas's nationalist goals, have stepped up attacks in the Gaza Strip over the past several months, targeting Hamas security men and offices. "No doubt in my mind that it is vandalism linked to a certain degree of extremism. It is an attack on the happiness of children," John Ging, UNRWA's director of operations in Gaza, told reporters at the damaged camp. Just in case you are wondering, the Reuters reports is some 20 hours earlier than the Al-Jazeera account. So it isn't a question of gathering facts over time for the details to emerge. It seems that it is quite possible that Israel possesses nuclear weapons. I was getting worried with all this ambiguity. P.S. But read this about the standards of The Guardian's reporting. So, who gets the better deal? The Civil Administration retroactively legalized 1,611 Palestinian structures built without the necessary permits all over the territories in recent years, according to internal documents obtained by Haaretz...The practice of granting legal status after the fact to illegally built structures is commonly applied in the state's dealings with illegal Palestinian construction. According to internal memos circulated by the office of the Coordinator of Government Activties in the Territories, the state retroactively legalized 956 homes in 14 West Bank towns in 2008 alone. ...According to the documents, the most extensive legalization of unauthorized Palestinian construction has been in the Hebron region. The facts and figures cited in the COGAT memos deal exclusively with Area C [which] encompasses 60 percent of the West Bank, pockets of land home to 130,000 Palestinians and 312,000 settlers. Regavim, a pro-settler NGO that monitors illegal Palestinian construction in the territories, issued a statement which read: "The policy of massive whitewashing of illegal Palestinian construction, a policy instituted by Defense Minister [Ehud Barak] in recent years, is aimed at providing cover for the negligence of the Civil Administration, which almost never enforces the law as it relates to illegal building by Palestinians." So, who is of second-class status? The Jew or the Arab? Rabbi Jack Moline, who organized the spin-a-thon for the White House attended by a group of rabbis, has circulated an e-mail summarizing the meeting. It is, to be blunt, embarrassing...[the attendees] are Jews prone to disregard evidence of Obama’s hostility toward the Jewish state. As for building in Jerusalem, Amb. Ross very calmly pointed out that US policy on building in any territory captured in 1967 has not changed since the Johnson administration. The US has objected officially to all such activity which is defined by policy as settlements. He also noted that the last four high-level US officials to visit Israel were greeted by announcements of new settlement activity, going back to Sec’y of State Condoleeza Rice during the Bush administration. He emphasized that he understood that there were reasons in Israeli domestic politics that may have influenced those decisions, but it was no way to treat an ally out to make a point of support. Amb. Ross said that the matter of settlements and the matter of Palestinian provocations are avoidable distractions. A simple code of conduct that would move talks forward could prevent both, and the administration has been pressing both sides to adopt one. Ross chose not to mention the Sharon-Bush agreements, on which the Obama team reneged, or to acknowledge that no other administration has made an international incident out of Jerusalem building. And it’s pure gall to chastise Israel that their conduct is “no way to treat an ally.” Apparently Ross was so desperate to return to one final round in government that he is now willing not only to join an administration hostile to Israel but also to join in the Israel-bashing. 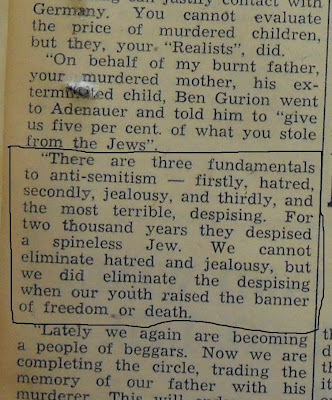 Remember Harold Bloom's takedown of British literary anti-semitism/antizionism? Well, a good few people were upset. Here are some letters (and here, too). What interested me in this letter was the address. So Shakespeare writes about a nasty moneylender who is Jewish. (Many moneylenders in Shakespeare’s time were Jews.) Dickens writes about a nasty thief who is Jewish. (Many thieves in Dickens’s time were Jews.) Julius and Bloom conclude Shakespeare and Dickens are anti-Semitic. Does this mean one cannot write a novel about a nasty person who is Jewish without being accused of anti-Semitism? Does anybody mind if we write about nasty drug dealers who are Christians? The question is absurd. How sad it should be raised, both for literature and for humanity. Titusville is an unincorporated area located within Hopewell Township, in Mercer County, New Jersey, United States. The area includes a post office with its own ZIP code (08560), a small village of homes, and a large park dedicated to George Washington's crossing of the Delaware River in 1776...Each year on Christmas Day, General George Washington's crossing of the Delaware River is commemorated at Washington Crossing State Park, which lies at the south end of Titusville. The annual reenactment depicts General Washington's December 25, 1776 river crossing and the attack on the Hessian troops in Trenton, which was one of the key battles of the American Revolutionary War. Re-enactors assemble on the Pennsylvania side of the river, where their commander reads Thomas Paine's immortal pamphlet, "The American Crisis." The soldiers then climb into boats and cross the river, though the crossing is often canceled due to weather and speed of river. So, is it a settlement? Do its inhabitants celebrate militarism? Siraj is a non-governmental non profit organization based in Beit Sahour, Palestine. Siraj aims to create links between Palestinian people and people from around the globe through educational tourism, interfaith and ecumenical dialogue, culture and youth exchange programs...Siraj Center recognizes the historic roots of the Palestinian people through showing the cultural identity for the people of Palestine and reflecting it through all the organized visits for tourists in Palestine. Siraj Center, also means to support the Palestinian economy by asking the tourists to stay their longest time with the Palestinian people in hotels or with local families, means spending %90 of their time in the West Bank. Travel to Palestine and Israel, and learn how fair trade cooperatives are restoring hope and providing economic alternatives to a population under occupation. Harvest olives with Fair Trade farmers, use organic farming practices, witness the community building strengths of Fair Trade cooperatives, and cultivate a greater appreciation of Palestinian traditions, food and people. Evening meeting and Global Exchange and partners welcome, Olive Harvest Briefing. Stay overnight at a local hotel in Jerusalem. Breakfast at the hotel and tour with Israeli Committee Against House Demolitions, focused on land, resources, water rights, tree destruction, house demolition and an economy paralyzed by occupation. Tour of the Old City, including Via Dolorossa, Al Aqsa Mosque and the Western Wall. Visit with Sunbula Fair Trade, an organization working to promote a number of West Bank co-operatives. Dinner and overnight local hotel in Bethlehem. Breakfast at the hotel Travel to Beit Sahour, learn about Bethlehem-area crafts at the fair trade Holy Land Handicraft Cooperative Society. Visit the Palestinian Center for Rapprochement between People and hear about non-violent forms of resistance and their media project, IMEMC. Tour the Old City of Bethlehem, walk along the Apartheid Wall. Drive south to Hebron and visit the old city, including the Ibrahimi Mosque and meet with Hebron Rehabilitation committee. Dinner will be at Artas village outside of Bethlehem including a folk dace performance dabkeh. Overnight in our hotel in Bethlehem. Morning departure to Ramallah drive to Bilin and meet with the society of Friends of Freedom and Justice and hear about the one going Non violent resistance against the wall. Drive to Nablus and Walk through the Old Town and the Old Market. Visit ancient spice mills, tahini mills, nut roasting houses and bakeries using local products. 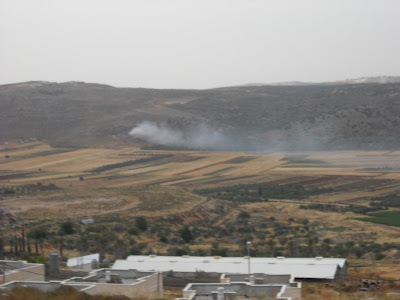 Visit Sabistya village, North of nablus and see the roman ruins in the middle of olive country. Dine at an outdoor restaurant overlooking the ruins. Meet with home-stay farmers after dinner and stay in Sebastiya. After traveling to Jenin, tour the Canaan, the bottling factory, showroom and office to learn about their programs. Tour an organic farm in Burqin and hike to the ancient stone-age presses in the olive orchards. Visit the Jenin Refugee Camp and meet for a workshop with Freedom Theater. Enjoy a group dinner and cookout in the Women Cultural Society center in Jinin. Meet with home-stay farmers after dinner and stay in Jenin or Rumana. Spend the day with host family on the farm, having lunch in the field. Talk to host families about their lives in Jenin, the effects of the occupation on daily life and farming, and their preparation for the yearly Olive Harvest. Stay overnight with host family Bilin. 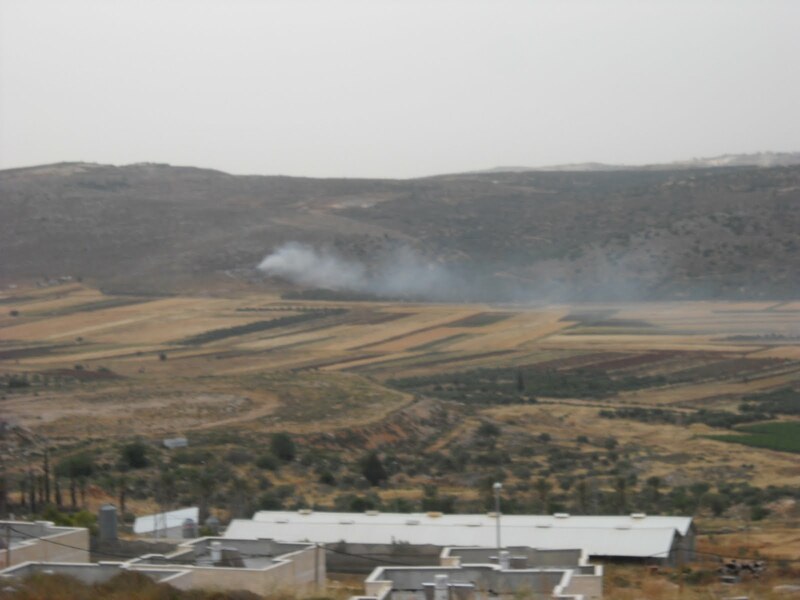 Work in the field with the people of Bilin, hear about the on going struggle using non violent resistance. In the late afternoon drive to Taybeh and participate in the Taybe October fest organized by the Taybeh beer brewery. Dinner in Taybeh. Overnight in Ramallah. After breakfast in the hotel, visit Addamer, a prisoners' rights organization. Meet with the PLO Negotiations Support unit and talk to Palestinian officials. Drive back to Jerusalem, and have a late afternoon meeting with the Alternative Information Center, a joint Israeli/Palestinian educational and reporting group. Dinner and overnight in Jerusalem. Early morning drive to the Negev Desert to meet with Bustan L'Shalom, a joint Israeli/Palestinian organization working to create self-sufficiency fair trade projects for Bedouin communities, and to bring awareness to land confiscation and house demolitions taking place in the Negev. Return to Jerusalem for an overnight stay at our hotel in Jerusalem. Morning Departure from Jerusalem – guesthouse check-out and transfer to airport. The Cost of: 8-12 participants $2150; over 12 pax $1900 and that includes everything besides the airfare and tips (see below for more info). Hey, there are some olive groves in Shiloh, with an olive oil plant.